A UN committee has told the UK government to produce an annual progress report on how it is implementing the recommendations of a damning inquiry that found it guilty of “grave and systematic violations” of key parts of the disability convention. The committee of disabled human rights experts concluded last November that the government had violated the UN Convention on the Rights of Persons with Disabilities (UNCRPD) under the articles on independent living, work and employment, and social protection. 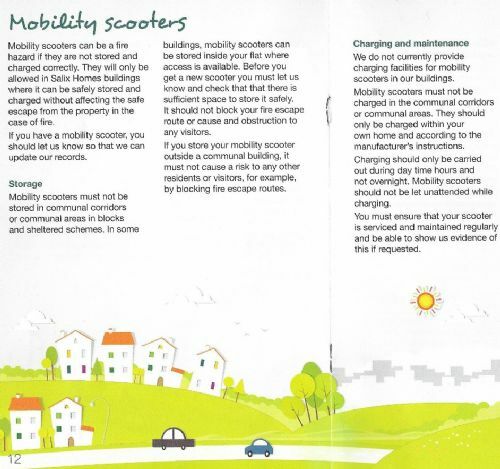 In what is now becoming a growing problem, a disabled man living in sheltered accommodation at Salix Homes’ Heraldic Court says he has to charge his electric mobility scooter at his carer’s as he is not allowed to charge or park it where he lives. The only salvation for James is his mobility scooter, which allows him to get out and about and do his shopping in big stores while sitting down. In February it became necessary for him to move into sheltered accommodation at Salix Homes Heraldic Court, off Langley Road South, but was told that he couldn’t take the scooter onto the property. Now James and his advocate are further confronting Salix with Section 149 of the Equality Act 2010 which states that public bodies have a ‘general duty’ to ‘have due regard to’ a list of considerations, such as the need to advance equality of opportunity. Salford Star asked Salix Homes for a comment but the email was not even acknowledged and the company has failed to respond. Like a lot of other disabled people, I’ve been eagerly following the progress of the United Nations’ inspection into the UK’s record on disability rights. Last month in Geneva, a UK delegation faced questioning by a UN committee based on 2,000 pages of evidence gathered during the course of its inquiry. The UN’s final report, published on Thursday, as widely expected, is a 17-page-long catalogue of shame, and highly critical of the UK’s record on almost every area covered by the UN convention on the rights of persons with disabilities (CRPD). The mother of a disabled mum-of-nine who took her own life after her benefits were stopped says “sorry isn’t good enough” after receiving an apology from the government. Jodey Whiting’s inquest was told she committed suicide after her Employment Support Allowance was stopped for missing one appointment for a ‘health assessment’. She later claimed that she knew nothing about the appointment as she had been in hospital at the time. Department for Work and Pensions bosses have now apologised to her family after its staff left Jodey a voicemail – despite having been told of her death. It has since emerged the decision to stop her benefits – which her family claims was the “trigger” behind her suicide – was overturned after her death. MirrorOnline previously reported how the family claimed the DWP have ‘blood on their hands’. According to the United Nations, the Conservative Party’s treatment of people with disabilities has been a “human catastrophe”. Dealing with the Tory government, which denies any ill-treatment at all, despite the mountain of evidence, is “the most challenging exercise” in the history of the UN Committee on the Rights of Persons with Disabilities. Tories accused of being ‘arrogant’ and in ‘confused denial’ about the impact of austerity cuts.